Nestled in the shadow of the Continental Divide near Tabernash, Devil’s Thumb Ranch has over 6000 acres of sweeping meadows and meandering creeks. Devil’s Thumb Ranch is an outdoor enthusiast’s paradise. Since 1938, cowboys and poets and ranchers and city folk and Nordic skiers have escaped to Devil’s Thumb Ranch. Today the Ranch offers a classy and upscale get-away that continues to make its mark as one of Colorado’s most environmentally friendly destinations. This year Conde Nast Traveler magazine recognized the Resort among it’s Readers’ Choice award as #11 top resort in Colorado. The Main Lodge offers cozy single rooms and multi-room suites, a cafe, pub/bistro, fitness center, theater, a six- sided, three-story fireplace constructed from stones gathered from a rockslide near the Ranch, and even a miniature bowling alley. The cabins range in size from one-bedroom lofts to spacious four-bedroom cabins with full kitchens and two baths and many are dog-friendly. The original Elk lodge at Devil’s Thumb Ranch was moved down the road a couple of miles and has been re-purposed as the Bunkhouse designed for the budget-conscious travelers including nine rooms with private bath, four rooms with a shared bath, and two small common areas. Both Heck’s Tavern (B,L,D) and the Hallowed Grounds Coffee Shop (B,L) are open daily while the Ranch House Restaurant (dinner only) is open Wednesday through Sunday and has received the Wine Spectator Award of Excellence among other awards. The High Lonesome Lodge, Barn and Pavilion opened in early winter 2014. Nestled in the hillside overlooking the Ranch, the new 50,000 square foot Lodge includes 35 guest rooms, four guest suites, wine grotto, and meeting and event space for groups of up to 350 people. The centerpiece of the Lodge is the High Lonesome Barn – a Civil War-era structure moved piece by piece from Ohio, with a wall of windows providing unparalleled views of the Continental Divide and Ranch Creek Valley. Now open in the Town of Winter Park, Volario’s offers fine dining Thursday thru Sunday evenings with Happy Hour from 3-5pm. Caffe Giocondo is open daily until 2pm for breakfast and lunch featuring hard-crafted pastries and fresh carved sandwiches. Lodge rooms are currently available at the Vasquez Creek Inn above Volario’s and the Trailhead Inn (formerly the Olympic Lodge) features 42 guest rooms and a salt-water pool. The Resort currently is almost fully open for skiing in one of the best early season starts in years. 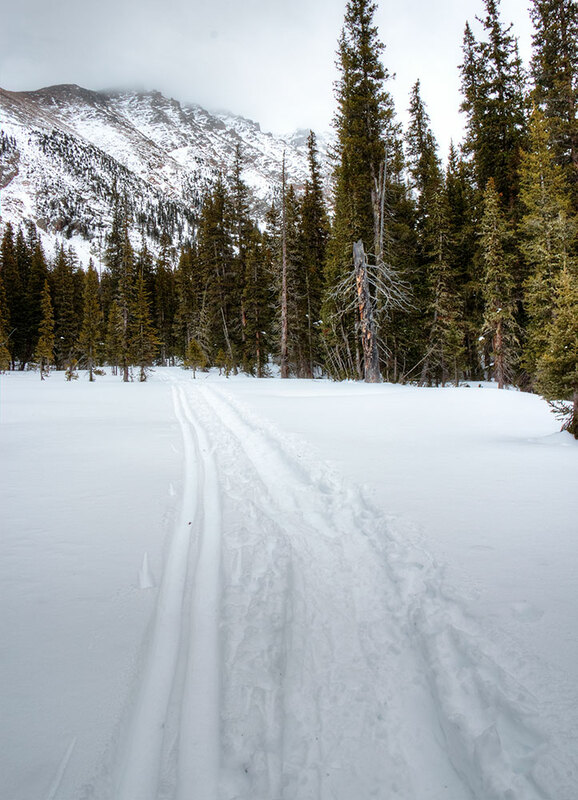 Devil’s Thumb Nordic Center early season rates have ended but they currently offer individual season passes for $260. Trail passes to use the extensive Nordic or snowshoe system are $25 per day including use of the ice rink. Check online for family passes which are priced according to how many children are included. Special pass pricing applies for kids and seniors. Five-day individual punch cards and 10-day transferable punch cards are available. Business passes are all available by calling the Activities Center at 970-726-8231. Additional Benefits to Devils Thumb Season Pass holders include one group ski lesson Monday through Friday, 15% discount on full price shop merchandise and entrance into the annual Passholder party this year Nov 25 from 5-7pm. 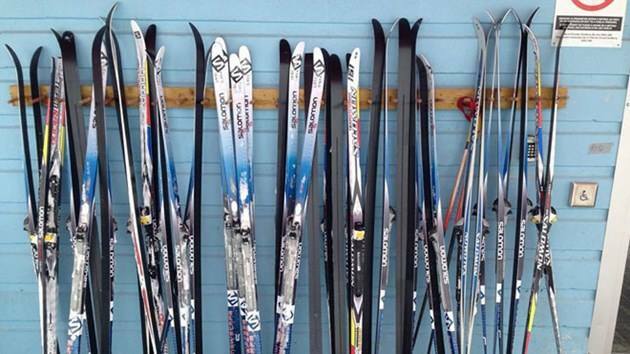 The Ski Shop has the latest in clothes, XC ski equipment and other gear with lessons and rentals available including snowshoes, ice skates, skijoring harnesses and leashes as well as sleds to trailer toddlers on the ski trails and Fatbiking! Fat Tire Snow Bikes utilize oversized front and rear tires with aggressive treads for riding on packed snow and can be rented at the Nordic Center for use on limited trails including fat-tire specific trails. The use of the sled hill and ice rink are both $10 for guests not staying at the Ranch. Sleigh rides are available in winter and horseback riding year-round. In summer fly fishing, hiking, zip lining and mountain biking are available for everyone. And to end your day, relax in the hot tub or massage out the kinks at Ranch Creek Spa. The Bryan Mountain Ski Patrol at Devil’s Thumb has just won “National Nordic Ski Patrol of the Year” award from the National Ski Patrol. BMNSP members aid with both in-area and out of area terrain. They protect nearly 70 miles of skiable track and 110 miles of pure back-country terrain where we assist the National Forest Service to keep outdoor enthusiasts safe in all outdoor activities. It is a fabulous award – great recognition for Devil’s Thumb Ranch. The National Ski Center for the Disabled has XC Ski days every Thursday, Friday and Saturday. Most Saturday afternoons at 230p from January through mid-March, the Devil’s Thumb Junior Nordic Team hopes to instill a passion for the sport in our young skiers within a supportive and fun team environment. For a special touch, sign up for one of the Christmas eve or New Years Eve celebrations, four Classic skiing clinics for Women only December and January, a Star Party Dec 22, Skijoring Clinic to learn to ski with your dog – equipment available – Dec 30, various Nordic Ski demo days, wax clinic, Women’s Ski Sip and Spa Feb 10, and more! Details are available on the website www.devilsthumbranch.com. The Tommelfest is the season’s grand kickoff December 8 complete with free lessons with high quality coaching and free demos. Watch the Viking Hat Competition or the keg toss, have a grog and enjoy other Nordic activities.The Tommelfest buffet is available at Heck’s Tavern from noon to 3pm. Don’t miss the renown Holiday Market in the Broad Axe Barn 10a-4p. Nordic Lessons are free for everyone who signs up. Grand Nordic members additionally receive free Nordic equipment and trail pass if needed for the lessons but get your chit first at the Grand Nordic table in the Day Lodge. For more information or to reserve your free lesson call 970-726-8231 or visit www.devilsthumbranch.com. Call early as spots for lessons fill up quickly! Returning this year is the 6th Annual Stagecoach Classic Point-to-Point Cross Country Race and Tour on Jan 26, 2019 with 15km and 30km classic only options with a recreation-minded 15km tour as well. The race and route pay homage to the area’s Nordic history and the former Idlewild Nordic Center, with the course starting at Devil’s Thumb Ranch, traversing along the Idlewild Trail System that connects Tabernash, Fraser and Winter Park, where the course finishes with a beer garden, DJ and food vendors. Register at the website – Active.com.